HULK flood, is a DDoS attack named by its creators “HTTP Unbearable Load King” is similar to an HTTP flood and is designed to overwhelm web servers’ resources by continuously requesting single or multiple URL’s from many source attacking machines. HULK flood differs from most available DDoS attack tools which produced predictable repeated patterns that could easily be mitigated. The principle behind the HULK flood is that a unique pattern is generated at each and every request, with the intention of increasing the load on the servers as well as evading any intrusion detection and prevention systems. Reference Forgery – the referrer that points at the request is obfuscated and points into either the host itself or some major prelisted websites. Unique Transformation of URL – to eliminate caching and other optimization tools, crafting custom parameter names and values and they are randomized and attached to each request, rendering it to be unique, enable the request to bypass many CDN systems. When the servers’ limits of concurrent connections are reached, the server can no longer respond to legitimate requests from other users. It worth to mention that HULK attack demands many resources for client side as well, therefore a single node will not be able to run high attack rates. As seen in Image 1, Hulk, like any other HTTP Flood, starts with a standard TCP handshake, (Packets 44, 49, 50 – SYN, SYN ACK, ACK). Then the user agent sends an HTTP GET request to a URL with randomized suffix (GET /?PLQZYRZW=GXVXTSW). 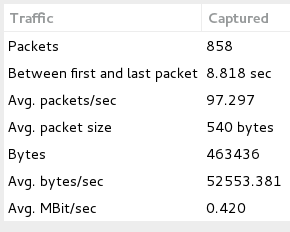 Image 2 shows a user agent sends multiple HTTP GET requests to an URL with a randomized suffix and receives from the target HTTP responses HTTP/1.1 200 OK.
As shown in Image 3, the capture analyzed is around 8.8 seconds long and the average number of packets per second is around 97, with a rate of around 0.42 Mbps (actual attack rates could be significantly higher). Using the ‘http’ filter, you can filter out anything except HTTP requests. If you see a single source IP sending many such requests, he could very well be an attacker.